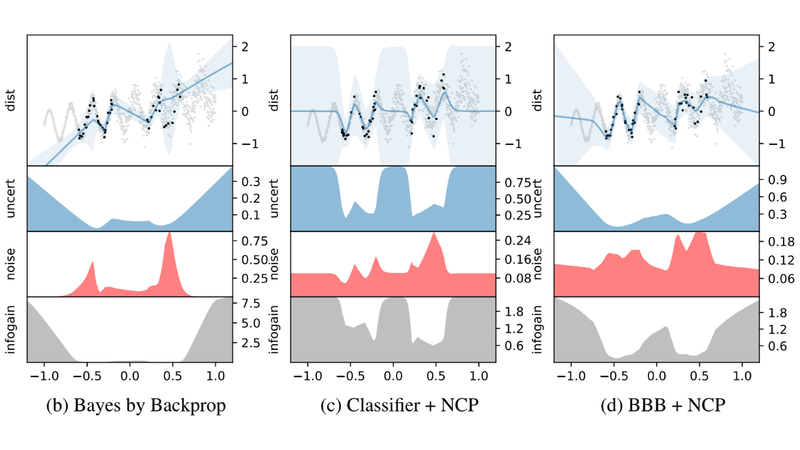 Obtaining reliable uncertainty estimates of neural network predictions is a long standing challenge. Bayesian neural networks have been proposed as a solution, but it remains open how to specify the prior. In particular, the common practice of a standard normal prior in weight space imposes only weak regularities, causing the function posterior to possibly generalize in unforeseen ways on out-of-distribution inputs. We propose noise contrastive priors (NCPs). The key idea is to train the model to output high uncertainty for data points outside of the training distribution. NCPs do so using an input prior, which adds noise to the data inputs, and an output prior, which is a wide distribution on said inputs. NCPs are compatible with any model that represents predictive uncertainty, are easy to scale, and yield reliable uncertainty estimates throughout training. Empirically, we show that NCPs offer strict improvements as an addition to existing baselines; on the flight delays data set, we significantly improve upon previously published results.